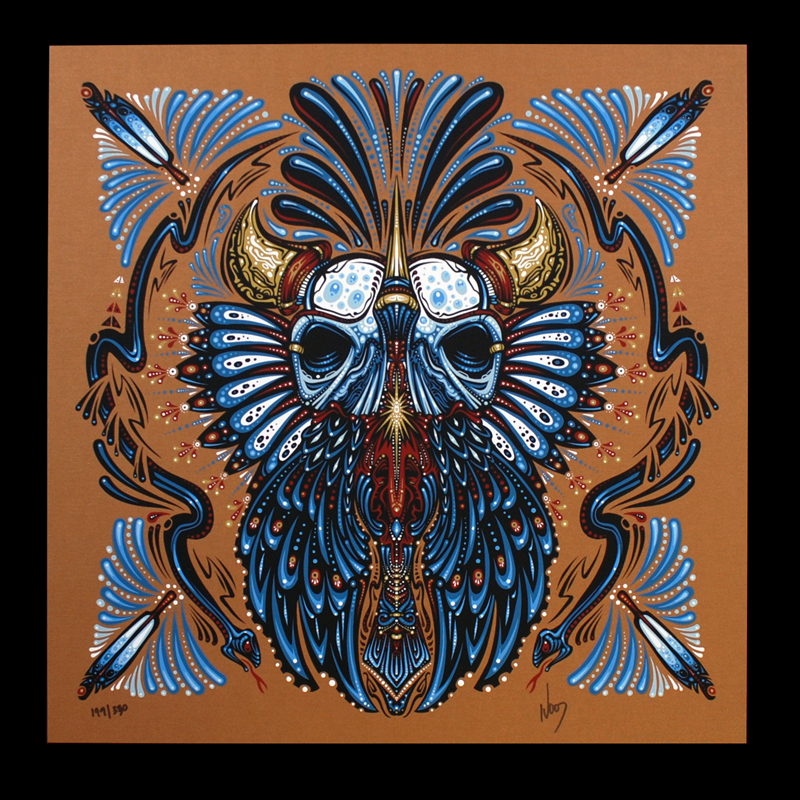 The 7 Eagle feathers on each side of the skull represent the seven tribes of the Sioux Nation that have reunited for the first time since the Battle of Greasy Grass (Little Bighorn). The 4 Eagle feathers, one in each corner are the 4 directions. 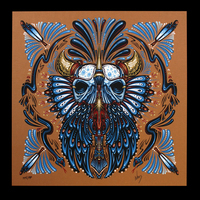 The Buffalo skull and tracks represent the Buffalo medicine brought to the camp by the appearance of the herd during the standoff. Colored red, black, white and yellow, the tracks also represent all races coming together to fight this battle. Finally, the severed black snake is a prayer for victory. A water bird is taking the prayer to the heavens. Originally released at Zen Dragon Gallery - Printed & distributed by: Lady Lazarus - Houston, TX - USA. Price includes free domestic shipping within the United States, all orders shipped fully insured.